SAN DIEGO, Calif. /California Newswire/ — ReverseVision, Inc., a leading provider of business solutions for the reverse mortgage industry is offering a free online class, "Understanding the New Rules Regarding Non-Borrowing Spouses," focused on changes announced by HUD in recent Mortgagee Letters 2014-07 and 2014-12 through its ReverseVision University (RVU). "We think the changes that HUD introduced in Mortgagee Letters 2014-07 and 2014-12 are steps in the right direction for the industry," said Rob Katz, Executive VP for ReverseVision. "Under the old rules, it was beneficial to the borrower to exclude a younger spouse from being part of the loan," Katz explained, "but that could lead to problems for the non-borrowing spouse when the borrower dies. These new rules make it easy for that non-borrowing spouse to keep their home in the future." "Understanding the New Rules Regarding Non-Borrowing Spouses" is posted at the RV University website: http://ReverseVision.com/RVU . Katz adds, "What makes the Principal Limit Factor change a challenge for the lender is that they don't take effect until August 4, yet HUD wants lenders to work with borrowers to figure which factor will be best for them now." "The class is available to anyone interested in learning what these rules are really about," stated Rachel Smith, RV University's product manager. "You don't need to be a ReverseVision customer to enroll for free." In addition, ReverseVision has updated its core loan origination system, RV Exchange (RVX), to support HUD's new rules, including both Principal Limit Factors and non-borrowing spouse guidelines. ReverseVision is proud to point out that after HUD announced the most recent changes pertaining to the Principal Limit Factor on a Thursday, it adopted the change by the following Monday by allowing comparisons of the current Factors to the ones that take effect on August 4. Support for the non-borrowing spouse was introduced in RVX in a release on July 21, 2014. 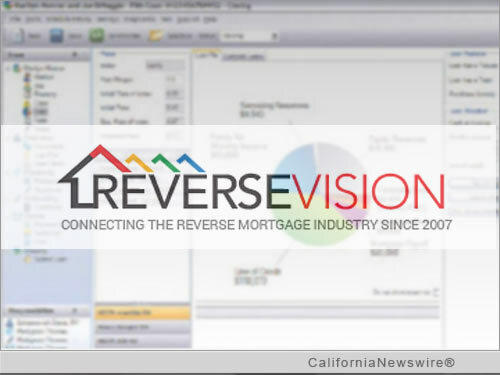 ReverseVision, Inc. is the leading software and technology provider for the reverse mortgage industry offering products and services focused exclusively on reverse mortgages. More reverse mortgages are originated monthly using ReverseVision's RV Exchange platform than all other systems combined. ReverseVision has partnered with some of the finest and fastest growing lending organizations in the US to provide the leading reverse mortgage technology to brokers, correspondents, lenders and investors.